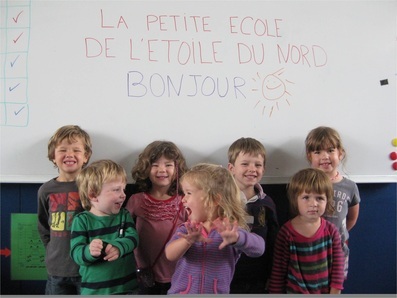 La Petite Ecole has a clever bi-cultural curriculum and follows the guidelines for both the école maternelle (French Ministry of Education’s preschool) and the New Zealand Early Childhood Curriculum Te Whāriki. These guidelines are incorporated into thematic units (one new theme each term), which explore a variety of stimulating topics consisting of age-appropriate, engaging activities. Throughout the year, these thematic units allow children to explore the world around them, learn self-expression through the arts and stimulate their creativity, while learning in a full French immersion environment. This bi-cultural curriculum offers the best preparation to continue into our primary school bilingual units: while French is the medium by which all subjects of the curriculum are taught, it has strong links to the New Zealand school curriculum.